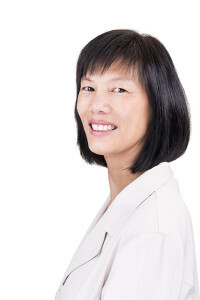 Dr. Janice Eng is a professor in the UBC Department of Physical Therapy at the University of British Columbia. She studied as an undergraduate at UBC in the combined Physical Therapy and Occupational Therapy (PT/OT) program. At the masters level, she studied at the University of Toronto, graduating with an MSc in Biomedical Engineering. Lastly, she completed her doctorate in Kinesiology at the University of Waterloo. Dr. Eng also completed her post-doctoral training in Neurophysiology at Simon Fraser University. Dr. Eng’s research develops novel rehabilitation interventions to improve important aspects of functioning and health of individuals with stroke. Research studies range from exploratory mechanistic studies, to clinical trials and knowledge translation.